Fame is a fickle fiend. Many CEOs, film stars, musicians, athletes and politicians are household names to people from all around the world, who will probably never meet them in their lifetime. Others embody 15 minutes of fame, spiking into the public eye for a moment before vanishing again never to be heard of again from the oceanic mass of ephemeral internet content. Below is a list of people whose names we *really should know* by now, given their level of global awareness and/or recognisability of them having existed. No Googling, checking your DVD shelf, asking mum or any other modes of cheating; you should all recognise these faces instantly. Just test your basic knowledge of what their actual names are. The events of September 11th 2001 were a defining moment of our generation. An attack that had a ripple effect worldwide regarding international relations, travel and national security regulations, iconic footage of the collapsing Twin Towers is recognisable the world over. Just shy of 3,000 civilians were killed from the September 11 attack. Every news station across the globe looped the story, as more scenes emerged and developments unfolded. Five terrorists hijacked American Airlines Flight 11and crashed it into the North Tower. Five terrorists hijacked United Airlines Flight 175 and crashed it into the South Tower. Five terrorists hijacked American Airlines Flight 77 and crashed it into the Pentagon. Four terrorist hijacked United Airlines Flight 93 and crashed it into ground. The event became the most significant of our times. Can you name any single one of the 19 terrorists responsible for September 11? His video Gangnam Style surpassed 1 billion hits on YouTube, with his follow-up track Gentleman clocking up 100 million views far quicker than any other song ever before it. Under the stage name Psy, this man has been appointed a Goodwill Ambassador for UNICEF and did a global tour of the USA, Europe, Asia, Oceania and South America, performing at numerous events and concerts. He has 2.4 billion views currently on his YouTube channel and an internationally recognisable style. The painting Whistler's Mother currently hangs in Paris at the Musée d'Orsay, considered by many as a classic American portrait from the Victorian era. The painting makes for the plot of the Mr Bean movie and has been referenced in numerous episodes of The Simpsons. Revered as an American Mona Lisa, it has been valued at $30 million. What is Whistler's Mother's actual name? The Lord Of The Rings film series is one of the most revered and successful of all time. All three movies feature in the Top 20 most highly rated on imdb, collected 17 Oscar wins and together have grossed almost $3 billion. One of the lead protagonists in the series is Aragorn, who gets a considerable chunk of screen time throughout the series before being crowned king. His face was splashed across $200 million worth of advertising, posters, products and action figurines. The films screened in the cinemas of 70 countries worldwide and are arguably considered the greatest film series of all time. 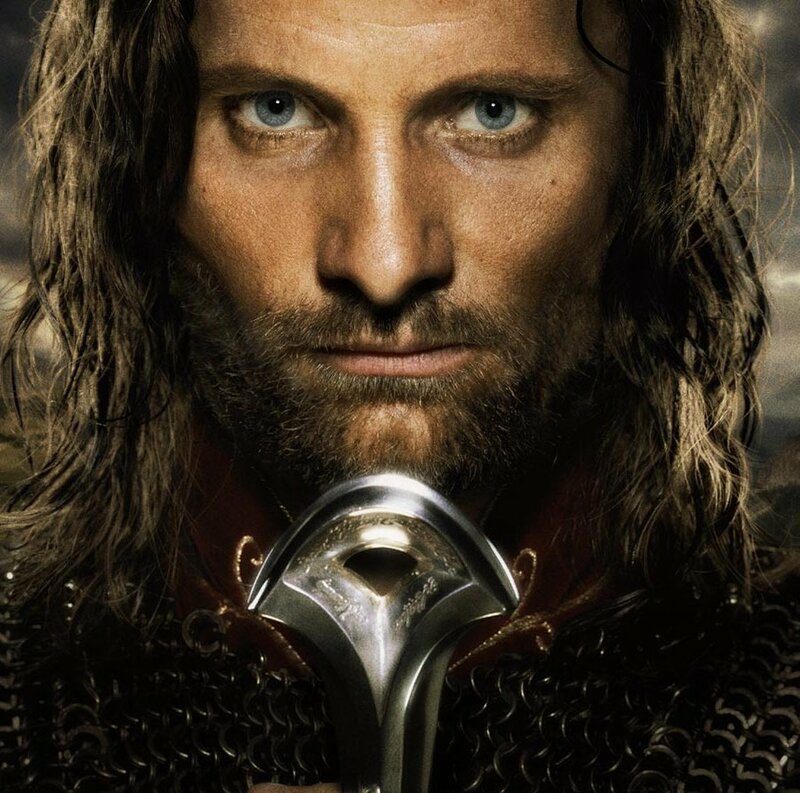 Can you name the actor who plays Aragorn? The Tiananmen Square Massacre of 1989 was a widely publicised event following student protests against Chinese government reforms of the time. Up to 100,000 students marched through the streets to protest the Communist Party in April, before a hunger strike began in May, to catch international attention of a visit from Soviet leader Gorbachev at the Square. Now with 300,000 protesters involved, Western journalists remained on in China to cover the protests after Gorbachev had departed. The Chinese government felt under pressure to respond. 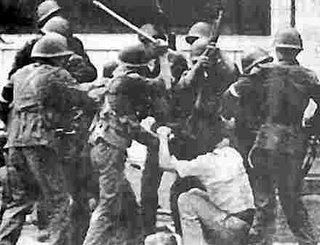 Declaring martial law, China's military moved in to the area with tanks and assault rifles and began a forceful removal. The ensuing conflict resulted in the deaths of hundreds, if not thousands, of unarmed citizens and garnered international attention and criticism. The most iconic image of this event is that of Tank Man, a lone protester who walked out in front of a line of oncoming tanks and refused to move out of the way. It was printed on the front page of every European newspaper at the time, and whenever a list of the most important events of the 20th Century is compiled, Tank Man will inevitably be on that list. Tank Man was included in Time magazine's 1998 article of the 100 Most Important People Of The 20th Century and has been arguably identified in a Sunday Express article. Do you know the name of Tank Man? Michael Jackson only ever knew international fame within his lifetime. His meteoric rise to success from early childhood, followed by constant media coverage from his professional to private life and then untimely death, make him the most famous person on the planet of the last 50 years. Following a marriage to Debbie Rowe that saw the birth of Prince and Paris, and a short marriage with Lisa Marie Presley, Michael Jackson had an anonymous surrogate mother carry his third child Prince Michael II, aka Blanket. An entire South Park episode was devoted to the relationship between Michael Jackson and Blanket. Magazines, tabloids and websites across the world followed the mysterious biological maternal identity of the child, with various speculations. It has been, however, confirmed that the identity of the woman who carried and bore Michael Jackson's third child was a Mexican nurse, hand-picked for the task. Can you name the mother of Michael Jackson's son Blanket? Columbia Pictures was a film company founded in 1924 by two brothers, Harry and Jack Cohn, after buying out their previous third partner. A logo of a Torch Lady was chosen, the female personification of America, appearing at the start of every production. The logo underwent several touch-ups over the 1930s, with several different models arguably used as the iconic Torch Lady, before the current logo we know today being photographed in 1992 and used as official logo from 1993 until the present. The Torch Lady has graced the opening credits of about 350 films in the past 20 years, including The Shawshank Redemption, Bad Boys series, Men In Black series, Spice World, Casino Royale, Gattaca, Superbad and recently Zero Dark Thirty and Django Unchained. Can you name the woman who modelled for the Columbia logo? 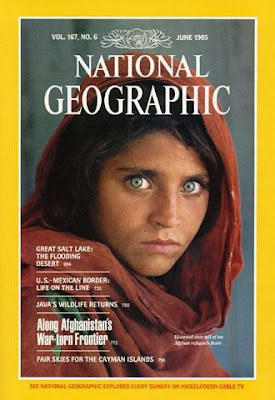 In June 1985, the face of an orphan girl appeared on the front cover of National Geographic magazine, highlighting the plight of Afghani refugees into Pakistan following Soviet bombing. With piercing green eyes staring straight out at the viewer, the photograph of Afghan Girl became an iconic image of refugees and dubbed National Geographic's "most recognisable" cover photograph. It took almost 20 years before the photographer was able to locate the girl again, followed by a documentary team, and have her identity finally revealed to the world. What is the name of Afghan Girl?